A recent poll showed that Israelis want a tougher policy toward the Palestinians. And Palestinians, beyond occasional rampaging and murdering Israelis, what do they want? Dan Polisar of Shalem College reviewed 400 opinion polls dating from 2000 and found they hold three main views of Israel: it lacks a historical or religious justification, it is by nature aggressive, and it will soon disappear. But attitudes might be changing slightly, judging by a recent poll that suggests a growing apathy toward the rejectionist priorities of both the Palestinian Authority (PA) and Hamas. 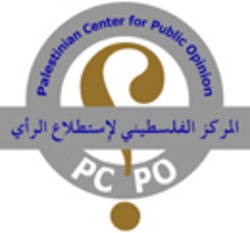 Conducted May 16-27 under the direction of the Washington Institute's David Pollock and implemented by the Palestinian Center for Public Opinion, the survey-takers asked detailed in-person questions of 1,540 Palestinians in the West Bank, Gaza, and eastern Jerusalem. Preference for "a good family life" also emerges from replies about current issues. Only 12/25 percent considered relocating the U.S. Embassy to Jerusalem very important. On the subject of special financial benefits paid by the PA for "martyrs," 66/67 percent said the PA "should give prisoners' ‎families normal benefits, like everybody else." 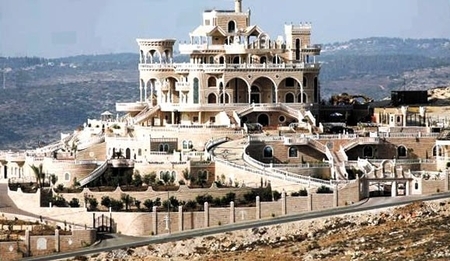 Not everyone is poor: the mansion of Palestinian businessman Mohamed Abdel-Hadi in Kharas, West Bank. Employment opportunities within Israel: favored by 63/70 percent. Anti-BDS: Close to half seek more employment by Israeli companies. Increased direct personal contacts with Israelis: 55/57 percent approve. Arab states offering both Israelis and Palestinians incentives "to take more moderate positions": 58/55 percent like this idea. Two replies show that an Israeli state is far more acceptable than is the Jewish people, with 75/62 percent consenting permanently to end the war with Israel and create a ‎Palestine based on the 1949 borders, but only 45/37 percent agreeing to ‎"Two states for two peoples -- the Palestinian people and the Jewish people ... if it might help to ‎end the occupation." The discrepancies between these two responses point to a deep Palestinian reluctance to accept Israel as the Jewish state. Very few accept that "Jews have some rights to this land" and great majorities insist that, some day, "Palestinians will control almost all of Palestine." Ritualistic denial of Israel's legitimacy is standard; more noteworthy is that such denial only partially interferes with recognizing its inescapable existence. Confirming this point, note the dramatic change in attitudes over just two years. Asked if two states means the "end the conflict" or whether it must continue "until all of historic Palestine is liberated," West Bankers vote 35 to 55 percent in favor of continued conflict, while Gazans vote 47 to 44 percent in favor of resolution. 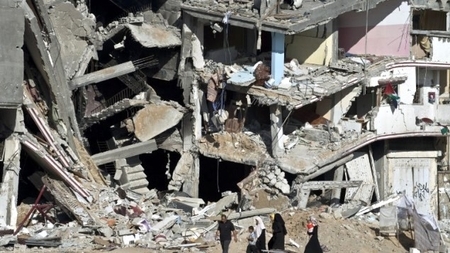 Back in May 2015, West Bankers voted almost as they did this year but Gazans 2-to-1 preferred continued conflict, prompting Pollock to note that, in the intervening two years, "many Gazans have probably come to regret the lasting damage of the disastrous 2014 war on their territory, and shifted their views in a relatively peaceful direction." More proof: asked whether Hamas should maintain its cease-fire with Israel, the 55/80 percent affirmative replies point to the impact in Gaza of many rounds of warfare. When it comes to Washington, "pressure on Israel to make concessions" is not the Palestinians' priority. For West Bankers, it's U.S. pressure on the PA to make it "more democratic and less corrupt"; for Gazans, the priority is "increased economic aid." These replies suggest that some Palestinians have moved away from grand anti-Zionist ambitions and that they are not imbued with an infinite spirit of resistance; they are not supermen. Like everyone else, they are prone to despair, a collapse of will, and defeat. This conclusion points to the utility of an Israel victory strategy that increases the pressure on Palestinians until their dictators in Ramallah and Gaza accede to this turn toward the practical. This can potentially start the long process of ending the Palestinian-Israeli conflict.